It’s week 50, and somehow we’re 2 weeks from the new year already, and even though it felt like Thanksgiving was last week, somehow Christmas is just around the corner. Liam got a pretty big shiner on the playground at school this week, and I made Lila a Rainbow Dash My Little Pony crochet toque. 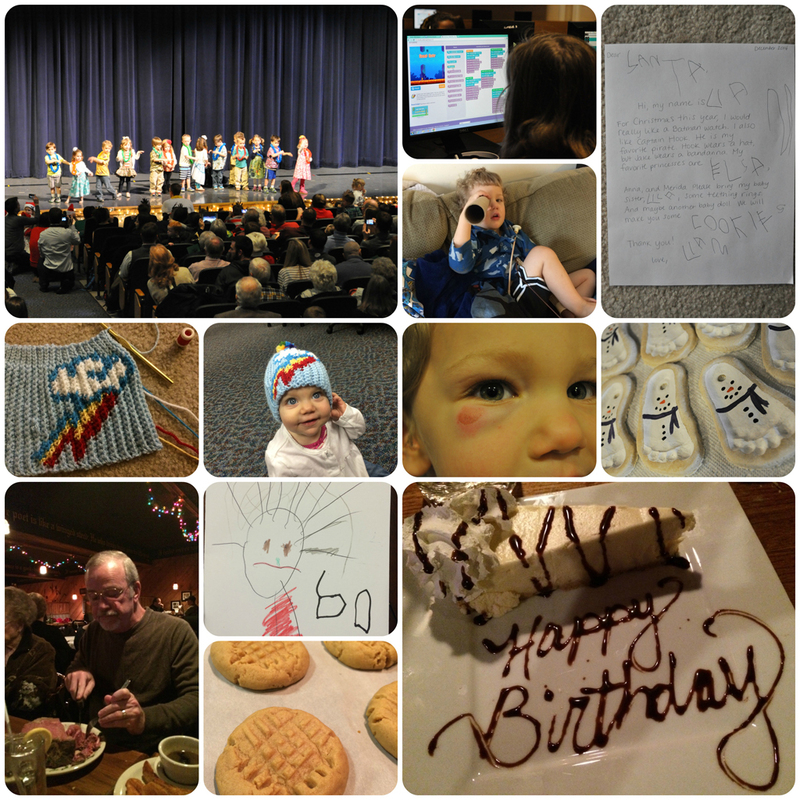 The kids had a holiday program at school and Liam danced on stage, which was fun to watch. My students celebrated an Hour of Code for Computer Science Education Week, and we dropped everything to code. They loved it! Liam is going through a pirate phase thanks to Jake and the Never Land Pirates, and even referenced Captain Hook in his very first letter to Santa that he wrote this week. We celebrated my dad’s 60th birthday (and I got to celebrate mine, too) and Liam drew a picture of him on his card, which was pretty much a perfect representation. We baked peanut butter cookies and made footprint snowman ornaments to celebrate Lila’s upcoming first Christmas.